This is the best meatball recipe that you’ll ever make, every time I make this recipe I get such rave reviews. I think this is one of my best dishes, and I made for my Christmas party, and I didn’t have one meatball left. If you missed my post about wonderful my Christmas Party, feel free to click here. 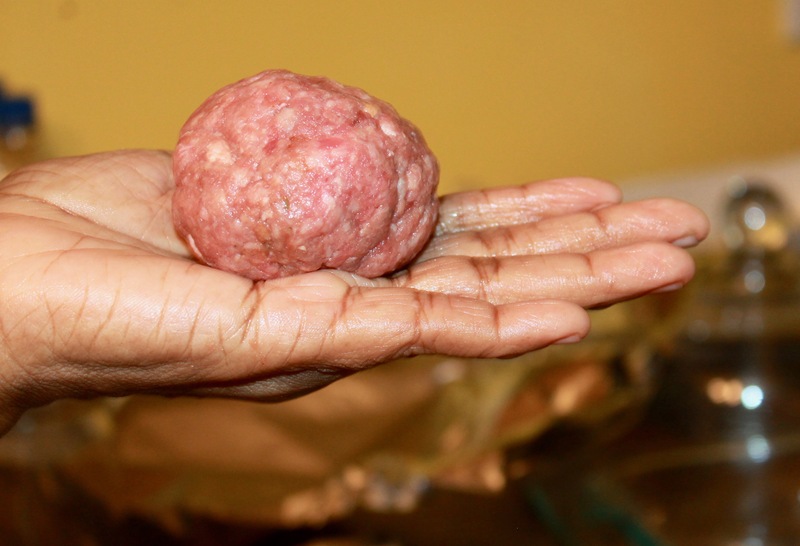 I have never been a fan of frozen store bought meatballs they are tasteless; freezer brunt, and I’m not completely sure that they are using real ground beef. 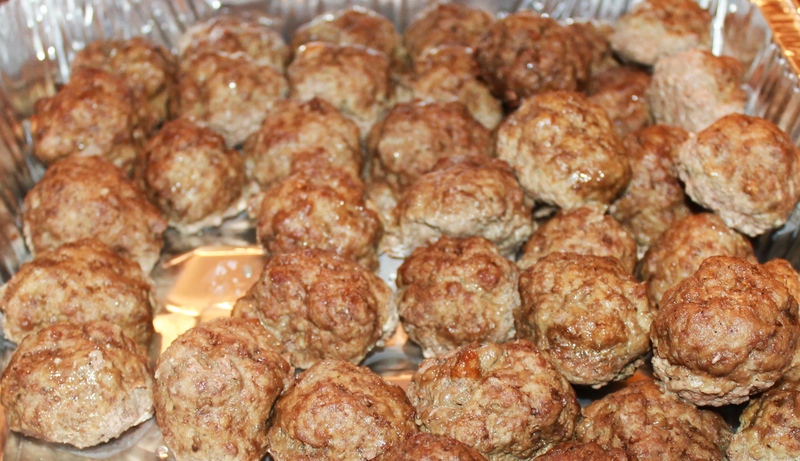 I prefer to make meatballs homemade, because they taste better and I can whip them up in a really short amount of time. They are also very inexpensive, you can make a great deal of them. It’s the perfect dish to serve to your guests. They are also a wonderful idea to make for your family. You can also feel free to freeze, defrost, reheat, and enjoy them. So if you’re on a budget or just love eating, then this is a great meal idea for you. As always before you begin cooking, you will need your list of ingredients. 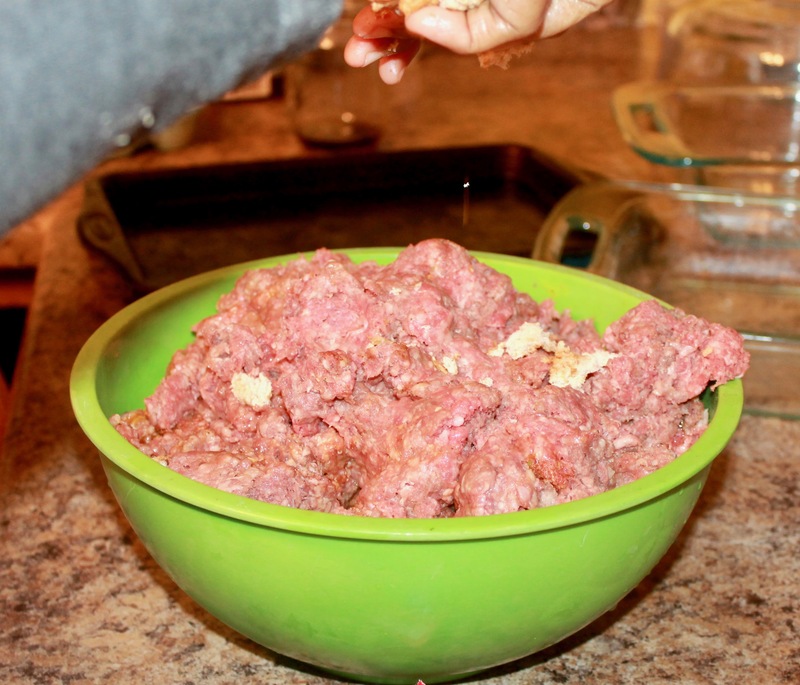 First, put your 5 lbs of hamburger meat into a bowl. Then, you begin to add your ingredients, I like to use regular bread and crumble them into a bowl. 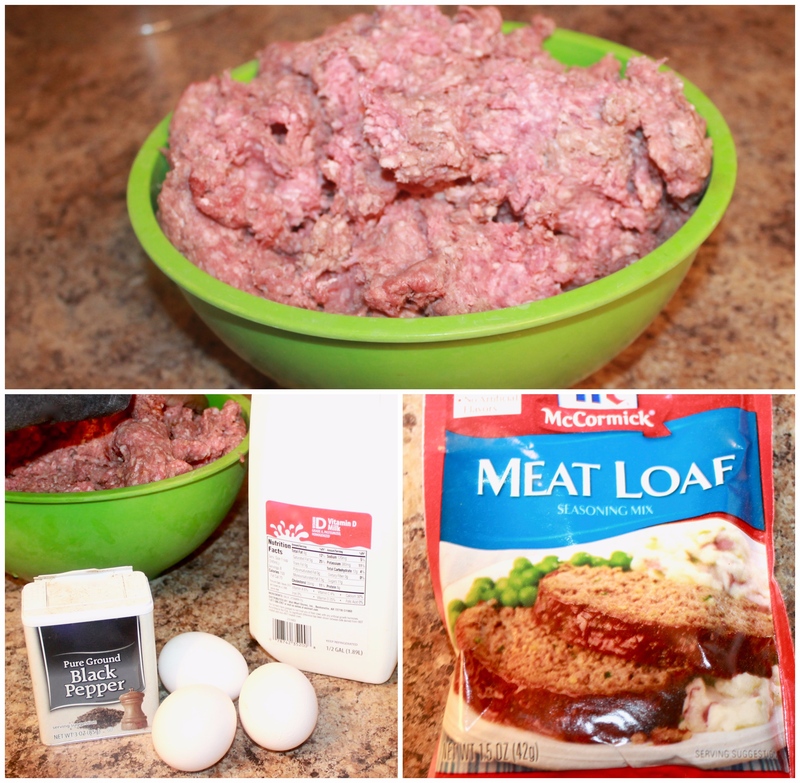 After you add your bread, add 1 cup of milk, 3 eggs, pepper, and McCormick Meatloaf seasoning. I don’t use salt because the seasoning is enough. There is nothing worse, then having meatballs that are inedible because they are too salty. Once you’ve finished mixing your ingredients into a bowl, you can begin to roll your mixture into a ball. 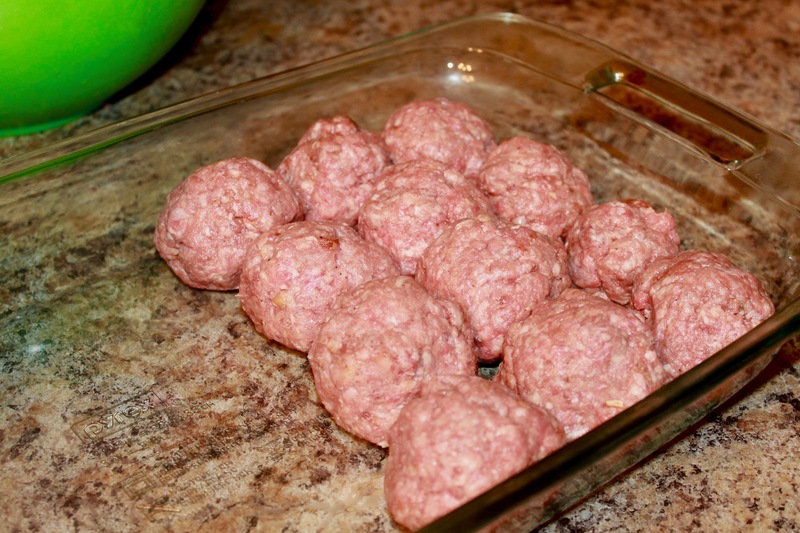 Preheat your oven to 350 degrees, and continue to roll your meatballs, and place them in a dish. 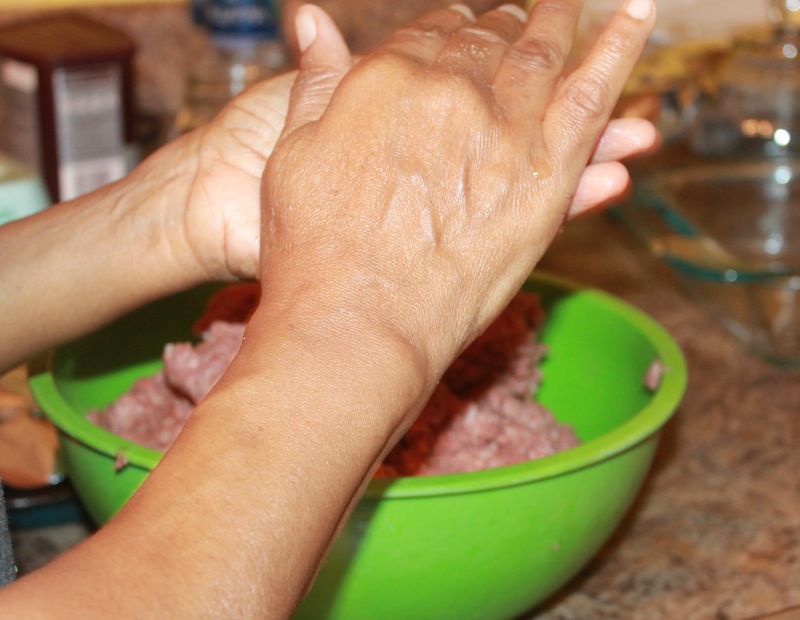 Allow your meatballs to cook for about 25-30 minutes. 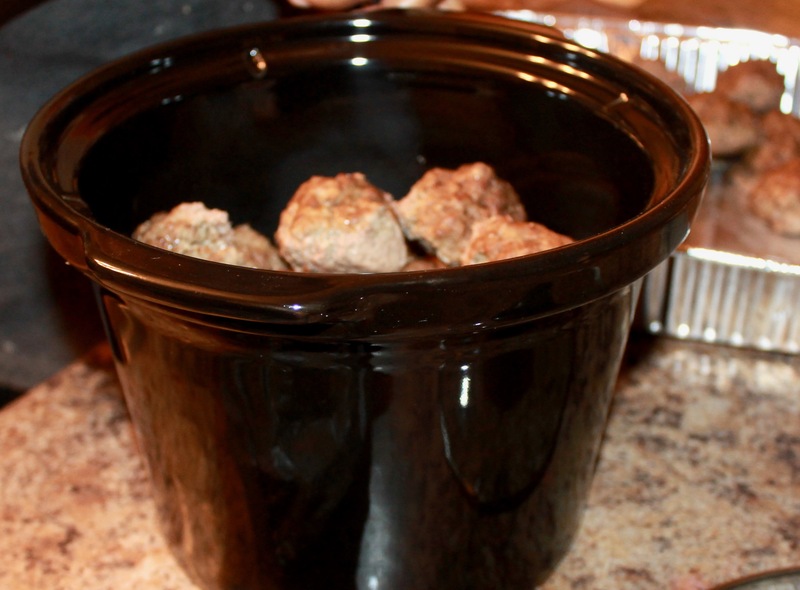 Once the meatballs are finished I remove the m and place them into a crockpot. While they’re in the crockpot, I allow them marinate in gravy on low and they’re ready to serve. You can use anytime of sauce that you like, I just always prefer to serve them covered in gravy. I hope y’all enjoyed the easy recipe, as I stated earlier this is one of my favorite dishes to prepare. These meatballs are such a great dish to serve and they are always a hit. I hope y’all are having a wonderful holiday season so far! Feel free to leave a comment and let us know if you enjoyed this post!